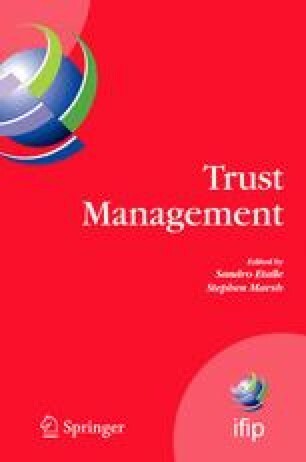 Please use the following formal when citing this chapter: Yao, D., Tamassia, R. and Proctor, S., 2007, in IFIP International Federation for Information Processing, Volume 238, Trust Management, eds. Etalle, S., Marsh, S., (Boston: Springer), pp. 1–16.